Low Carb Recipe or Keto Recipe? 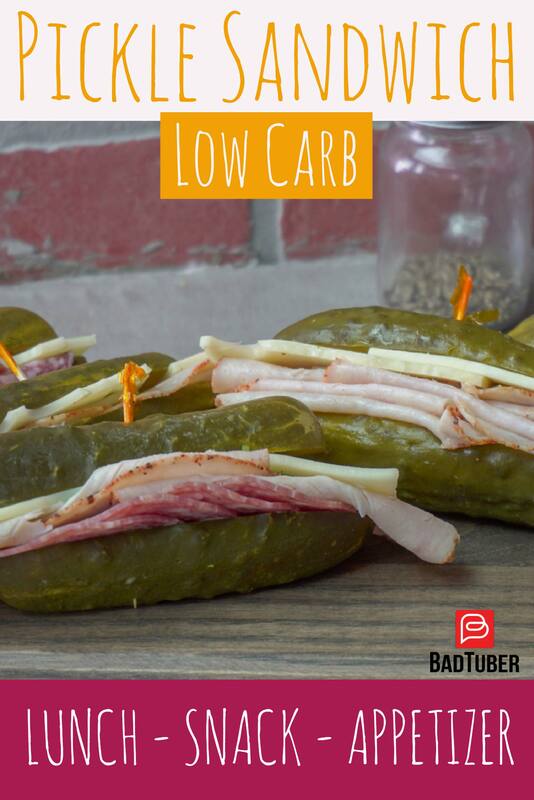 A Pickle Sub Sandwich… Yes Please! When you are looking for something that will hit the spot. Whether it is game day or afternoon snack for the kids and friends this recipe will hit the spot. In bowl add Mayonnaise, Mustard, salt and pepper then whisk until combined. Use sauce on lower half of pickles add Salami or Turkey, a slice of cheese, a few basil leaves and top with upper half of pickles. Use toothpick to secure... Enjoy!